Once upon a time, a long time ago, owning a vehicle meant high societal status, having a lot of money, and belonging to an elite group of American men and women. Owning two cars meant that you essentially had a disposable income, and was very rare for many years. Fast forward to today, and the picture that is painted is drastically different. Owning a car is a necessity, and oftentimes mandatory for holding down a job. Owning two cars is not as important, but in a larger household, it certainly helps. In recent years, the economic struggle of American citizens has been more profound, making it harder than ever to own a vehicle – let alone two. This can be especially tough for consumers with poor credit, who are constantly being turned down due to low credit scores. People in this situation tend to lose hope, succumbing to the negative responses they repeatedly receive from dealerships and lenders. However, there is hope. There are dealerships that exist to help you back on your feet, and do so by offering bad credit car loans to those who need them. We have helped thousands of people with bad credit into a vehicle of their own, allowing them to proceed successfully with their job, and life. Getting back on your feet can be a process, but it is important to take steps toward securing a more financially stable future. Check out some of the steps you should be taking to help secure a car loan with bad credit. Be Prepared: That old Girl Scout or Boy Scout mantra you held close to your heart as a child, comes in very handy in this situation. Prior to walking into a dealership, be aware of exactly what you are asking. Know your credit score, and research what your number means to lenders. Realize that while the average interest rate for a car loan in the United States is between 4%-5%, borrowers with poor credit pay an average of 10-13% interest on a car loan. Know your facts, and determine your ability to pay a loan back, when presented with an offer. Don’t Count Yourself Out: If your poor credit is due to mortgage woes, you may be in better standing than you think for an automotive loan. Because vehicles are less expensive and easier to repossess than a house, lenders are oftentimes more lenient when it comes to offering a line of credit for a car. Remember, it never hurts to ask. Do Your Homework: Don’t just walk into any dealership and expect to be offered a subprime auto loan. Research different dealerships, and how they react to buyers with a poor credit score. Your best bet is an established dealership, that offers both subprime and traditional loans. Secure Financing Prior to Purchase: Before you go to a dealership, check with your bank or local credit union for a loan. Their response may surprise you, and if equipped with a loan prior to heading to the dealership, you will automatically be positioned favorably. Bring a Buddy: Another enduring term from Boy Scouts and childhood summer camp, is a lifelong lesson in companionship. Going to a dealership to secure a subprime auto loan can be an emotional one. Bringing someone you trust along with you, can help make the process more pleasant, and offer much needed support. Bonus points if your “buddy” has a working knowledge of the auto and loan industry. Look at Loan Terms: It can be tempting to focus solely on the amount of money you will be required to pay each month, rather than the terms of the loan. A low monthly payment does not always equate to a good deal. In order for you to spend the least amount of money, look for the lowest annual percentage rate (APR), over the shortest amount of time. Even if reaching this goal means choosing a less expensive car, it will be worth it to you in the future. Buying a car you can’t afford, will only serve to damage your credit score further. Be Aware of Add-Ons: As with any purchase in life, the seller is always looking to make extra money where they can. Whether that means adding a premium cocktail to your dinner check, or needless aftermarket services to your new vehicle, these can seem appealing at first, but only serve to pad your loan even more. Leave the Yo-Yoing for the Kids: Read over your loan papers thoroughly, prior to signing. Especially in the case of a subprime loan, it is important to know exactly what you are agreeing to, before you sign on the dotted line. Some dealerships specialize in getting papers signed, and manipulating buyers into paying more down the road. This happens by requiring a bigger down payment or an increase in monthly payments, weeks or months into your contract. Victims of this scam are caught off guard, and are often unable to comply with the ridiculous terms. The dealership is able to repossess the car, and keep the money you paid up until that point. The moral of this story is – READ before you SIGN. Some of these steps listed may seem like no-brainers, but they are often overlooked in the excitement and anticipation of securing an auto loan for a new car. The best chance for getting back on your feet with a new vehicle, is to follow this advice, and be aware of what you are getting into. While some dealerships set you up to fail purely for their own benefit, others sincerely want to help drivers who are down on their luck. Finding a dealership that operates in order to help its customers, is the one you want to work with. 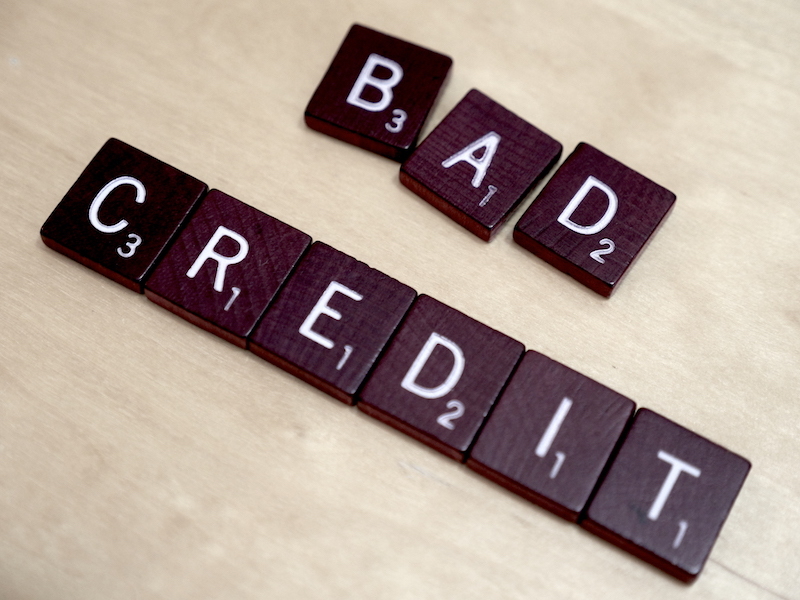 Bad credit can certainly be a tough issue to cope with, but the sooner you realize what you need to do to fix it, the sooner you will be back on your feet. Don’t go another day wishing you had a reliable car, to hold down a steady job. Get approved for an auto loan, today.